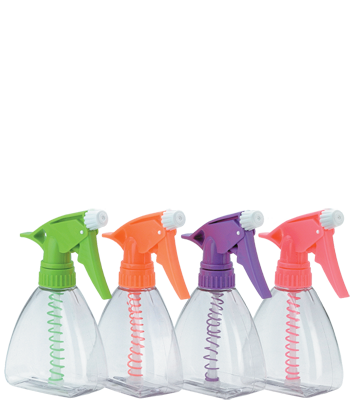 Clear PET bottle with assorted neon green, orange, purple, and pink Model 300™ trigger sprayers with matching, decorative stem coils. 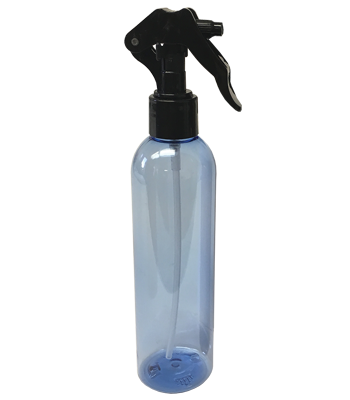 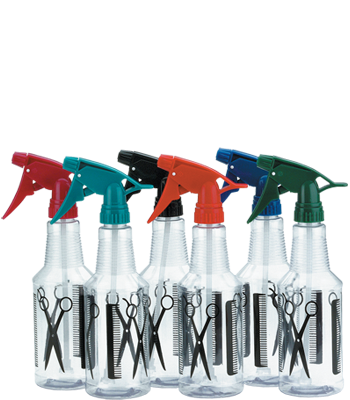 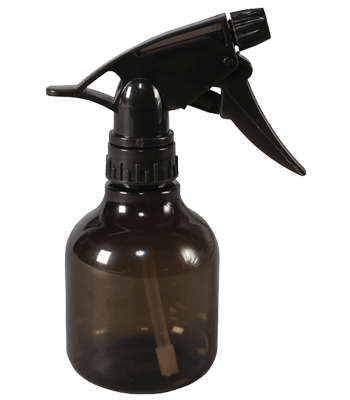 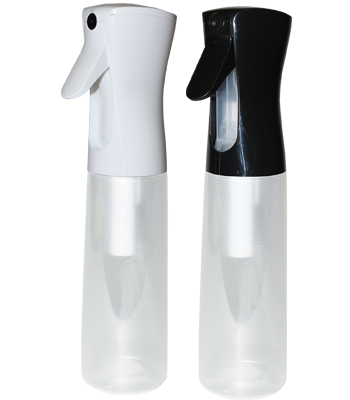 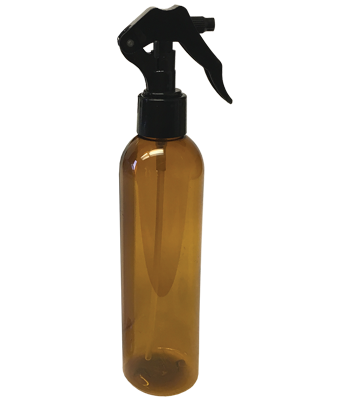 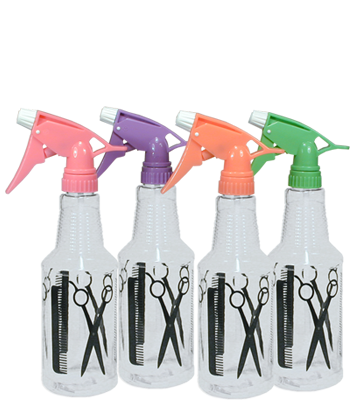 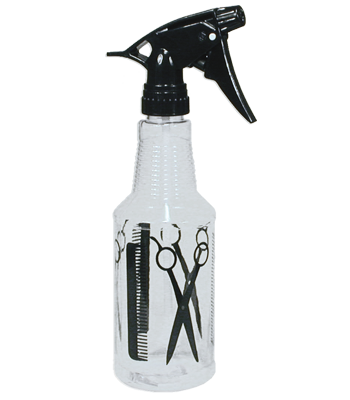 Clear PET bottle with the original trademarked black Shears and Comb graphic and black Model 300™ trigger sprayer. 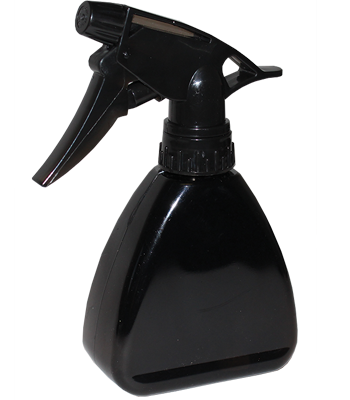 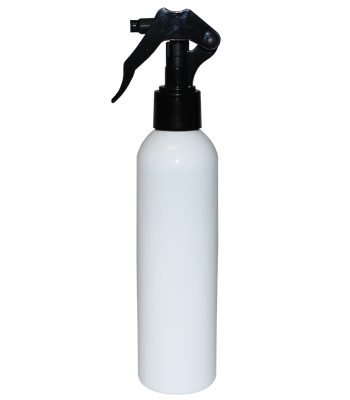 Smoke PET bottle with black Model 300™ trigger sprayer. 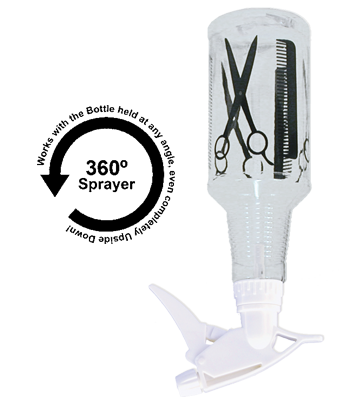 Clear PET bottle with the original trademarked black Shears and Comb graphic and white Model 300™ Upside Down trigger sprayer. 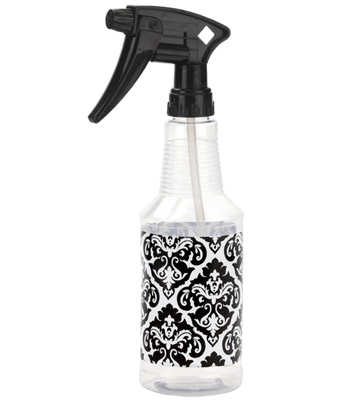 Clear PET bottle with black and white damask print graphic with black Model 220™ trigger sprayer.